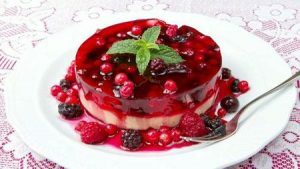 With an abundance of rich wild berries and other distinct Russian fruits, sweet delicacy such as desserts hold a special place on the restaurant table. Some of the Things You Need To Taste In Russia is the amazing delicious dessert that is particularly valued highly as it is considered as a luxury. Russia season change into four, and as well as the plants that in season. Therefore Russia becomes an expert in preserving jam for rainy or winter time. Here is some Russian most notable dessert that has been decorated and ready to taste. Throwing away food was never the Russian reaction toward food. The fact that most Russia experience all year long winter and the common weather is below -10, food shortages have become a typical thing. As a result, Russian develop many recipes to make use of leftovers of the basic ingredients. This is the idea behind the famous chocolate salami. As the name reflect well the dessert time favorites combine two items that were often in short supply. Crushed milk biscuits and butter. You mix all than throw in the fridge, rolled into a log and let it sit overnight. This rustic dessert found some elevation and made it to some of the Russian restaurants. Also, a popular dessert breakfast that has similarity to American pancake. Syrniki is sweet cheese pancakes with fluffy dough and denser due to the cheese addition. Tvorg, Quark, or ricotta is a nice variation of cheese that the dough is nicely paired. This sweet treat is best to taste while the simple ingredient makes this dessert popular. Do not confuse this Soviet Cake to the French millefeuille, or the French famous custard slice. One of the Healthiest Staple Food Of Russian Cuisine is design in the shape of Napoleon hat for the centennial celebrations of the Russian victory over the French. This is when it all began. The layered crêpe added with custard cake is a mark of Russian achievement during a battle with the French. The ultimate sweet treat that anyone should try to taste. This unique sponge cake has filling layered with mousse soft texture. Moreover, the history behind this cake was a calling for a simpler and more affordable cake during food rationing in the 1940s. The cake was considered a luxury item, and that feeling of superiority of being able to taste various cake means you are very wealthy. When the popularity of indulgent cakes falls, the government start thinking of establishing very popular cheap treats named Bird’s Milk Cake. Nevertheless, as cheap as it gets, it made its way to some of the finest Popular Restaurants Visited By Tourist In St. Petersburg, Russia. and any other big cities. The national snack of Tatarstan is a sticky sweet dessert that you can pick up literally from street to the hip restaurants. There are many street vendors that sell this honey-based syrup bread all around Khazan and all the neighboring cities. It is a fried flat-bread covered in honey with dried fruits and nuts. It stacks up to cater either individual portions or groupies. You can see this dessert in festivals and other special occasions. While the name does not seems appealing, the basic ingredient has no potato in it whatsoever. The unglamorous name was given to the potato looking out of stale cake mixed all the sweetness that Russian are familiar with. It is mix with dried fruit and nuts, condensed milk, and liqueur component using either rum, cognac, or even vodka. These cakes are shaped into uneven balls and dusted with cocoa to get the potato-like effect and set in the fridge. The world of wonderful Russian dessert variation should not forget to mention vatrushka. The dessert has been sweetening the land or winter wonderland for thousands of years and the recipe remained unchanged after all this time. It is a truly Russian taste for any travelers. A vatrushka describes the last remaining archaic delicacies from ancient Slavic tribes. The unique feature of leavened round bun also come in short or unleavened dough. It has the traditional filling from sugar, fruit puree, condensed milk with baked cottage cheese. Vatrushkas is a nice comfort dessert that does not stretch too much. Finally, a vegetarian dessert to try, as a hint to break away from the rest of sweet treats. It has an oddly similar looking like with pelmeni, based from the Moorish tradition. It shapes like dumplings with various vegetables filling. For a sweeter option, you can change the filling, and the most suitable for sweet filling is cherries. After this dumpling is cooked then they are ready to taste with sour cream and powdered sugar. Honey Cake from Russia is making good use or the abundance of honey stored away. It has some similarities with Napoleon cakes with features thin layers of pastries. This is the Most Favorite Dessert In Russian Cuisine can be made with custard, buttermilk, condensed milk, or with the original sour cream. Moreover, this cake dessert treats has a nice even balance of sweetness and saltiness. This enhanced version of the famous Viennese Sachertorte that can be traced down to the Czech capital. The recipe is the prominent work of Russian legend of Russian confectionary, Vladimir Guralnik. Under a very skillful baker, Russian own Viennese Cake requires four different kinds of cream, some laced with brandy and other liquors. Afterward, the pastry layer is soaked in rum to embrace that rich flavors. No sweet treat in the world come without having a remarkable history behind it. Moreover, Russia is very proud of what mother nature has given them and prolong their life through preservation ideas and incorporating it to their Delicious Russian Recipes For Exquisite Dinner table. Some of the popular desserts come from the desire to have dessert at a moderate price by using affordable material that you can find all over Russia.